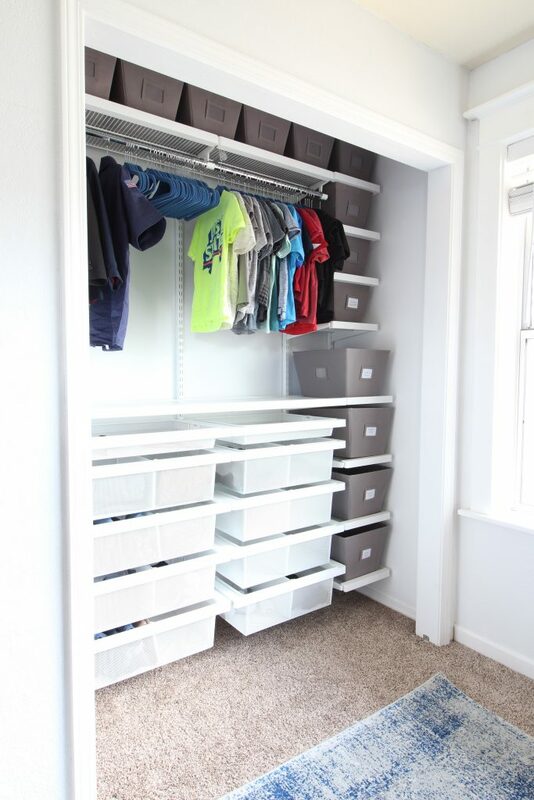 We’re so excited to announce that we’ve teamed up with The Container Store to give some of our closet makeovers! This was SUCH fantastic timing because our closets were a mess. I am an organizing junkie but after moving our 4 boys into one bedroom, the clothing and organizing situation was a bit out of control. Before The Container Store came to the rescue, we had dressers stacked up on each other in this pink wallpapered closet. Not ideal for my little boys. 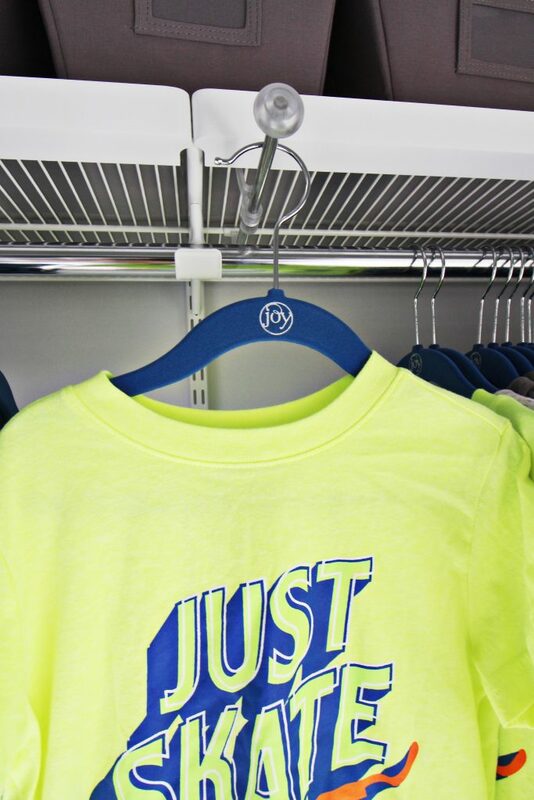 Oh, we also had half of the clothes in the playroom. Again, not ideal. The day before the amazing installer from The Container Store came to my house, we removed the pink wallpaper and repainted the closet to match the boys’ bedroom. 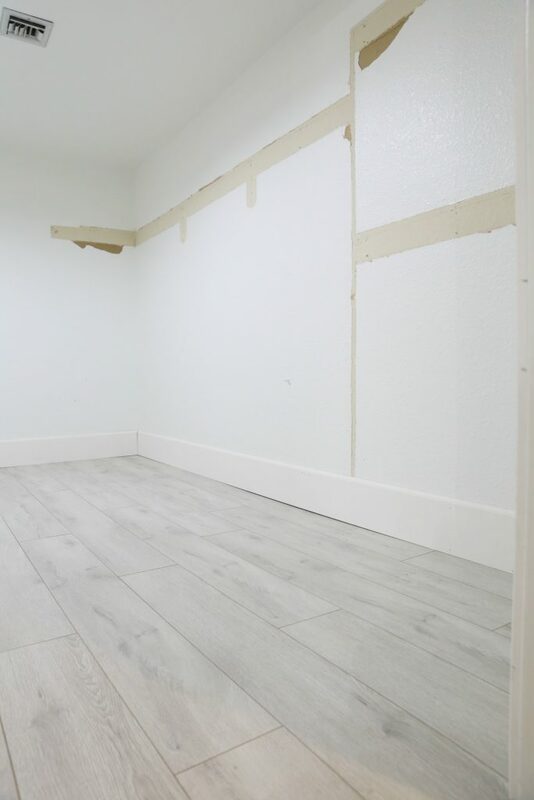 We also removed the doors and will eventually install French doors to the space but now that the closet makeovers looks great, I’m not in a hurry to hide it with doors. 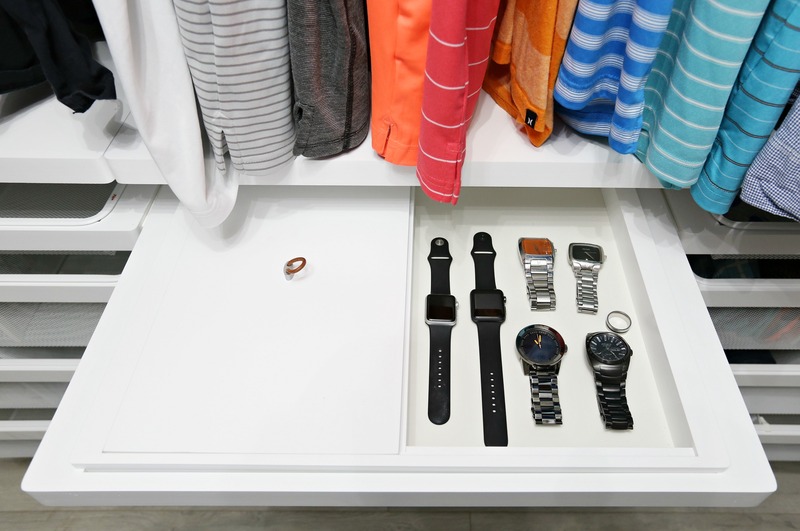 The Container Store installed the elfa Custom Closet system for my boys. 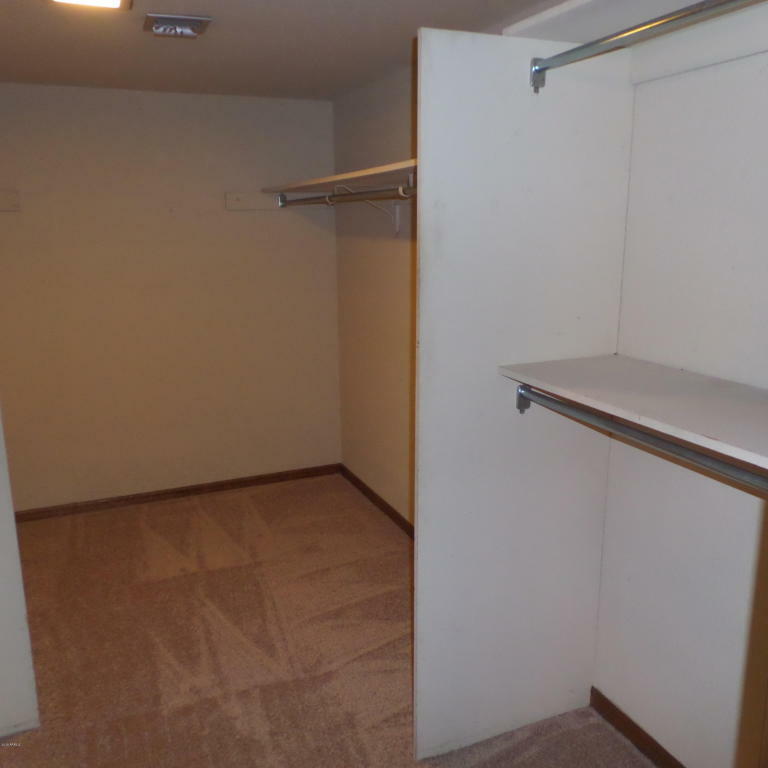 I am literally shocked at how functional this closet is and how much stuff it holds. My little guys love picking out their clothes and they can see and access everything! 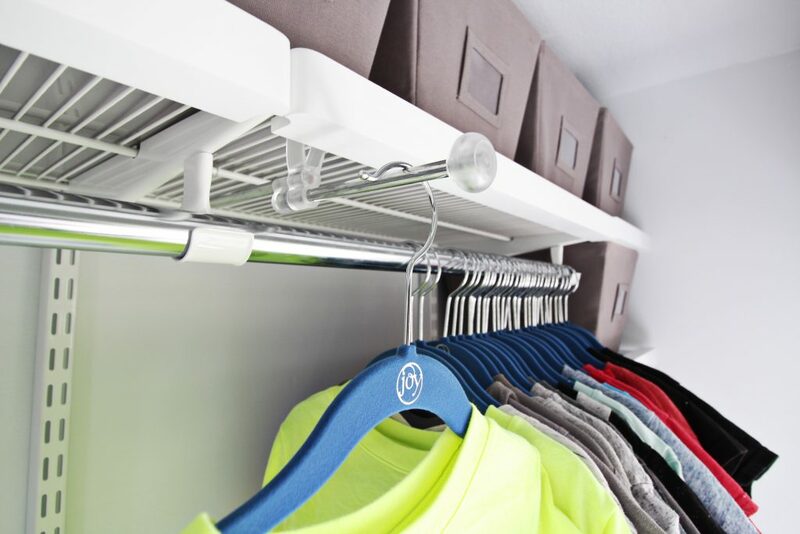 We love the elfa Expandable Valet Rod for laying out school clothes or hanging shirts to dry. It pulls out when you need it and slides back into place when you don’t. We love it! We are also obsessed with these Joy Mangano Kids Huggable Hangers. They’re so nice since they are non-slip and strong enough to hold their winter coats! 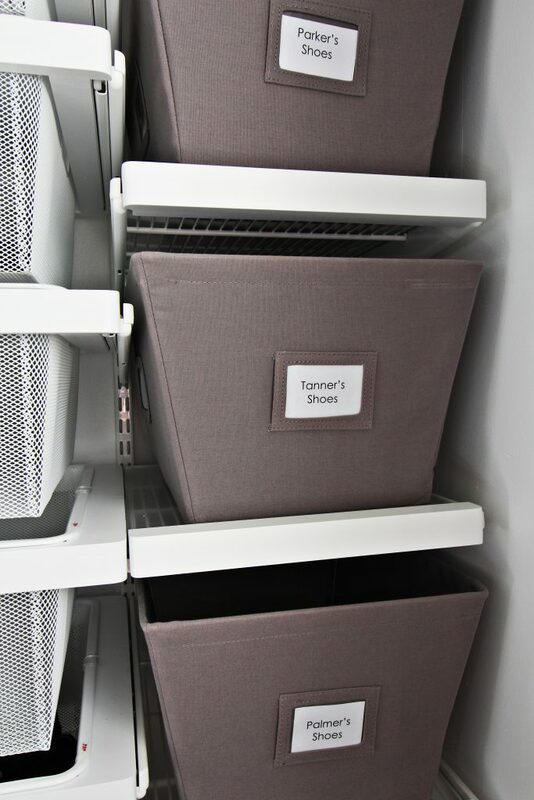 We used several of these Grey Open Canvas Bins to organize the boys’ shoes, ties, belts, etc. The pockets for the labels make it really easy to slide a label into and my kiddos know where everything goes! The elfa Mesh Drawers with the Dividers hold so much stuff! We have shorts on one side and pants on the other. 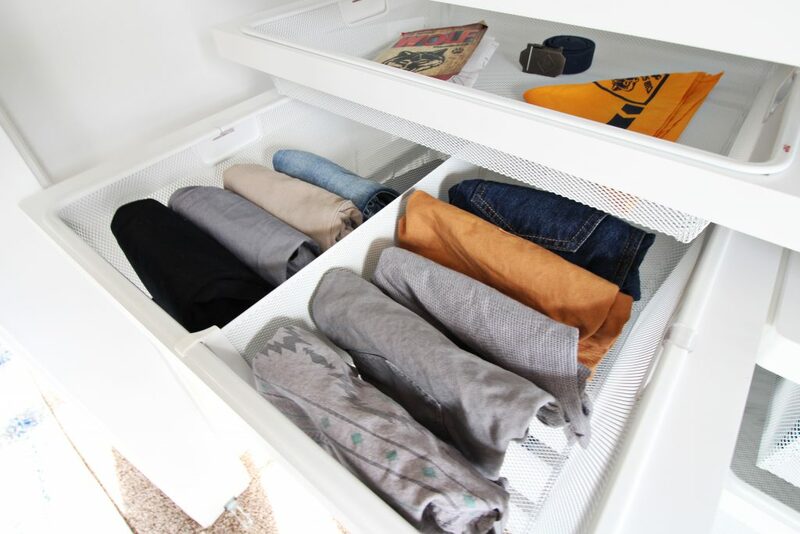 We absolutely love how the closet turned out and it makes folding and putting away my kids’ laundry SO much easier! I love how functional and organized it is! 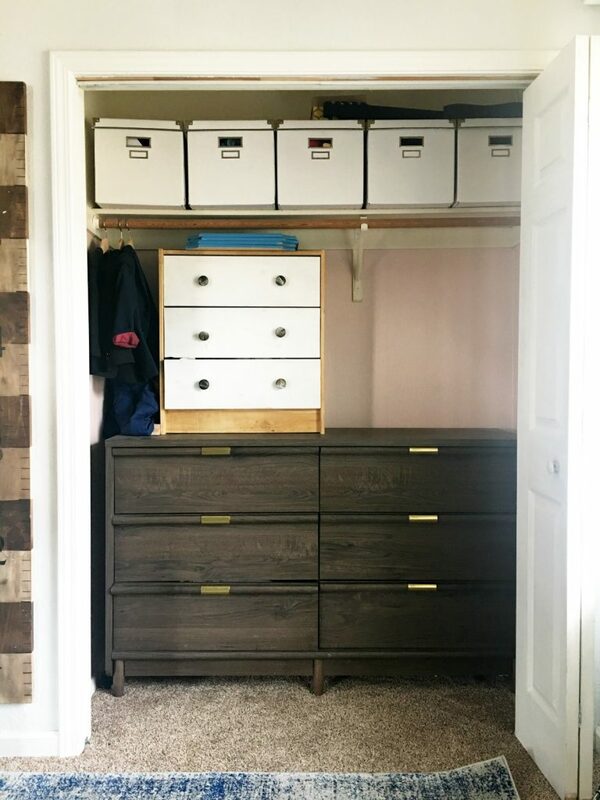 Savannah also got a closet makeover for her walk-in closet in her master bedroom. It was dark and dingy and had a dated system and carpet that she didn’t love. Before the installer arrived, she replaced the flooring with gorgeous click-in laminate flooring and installed new light fixtures. 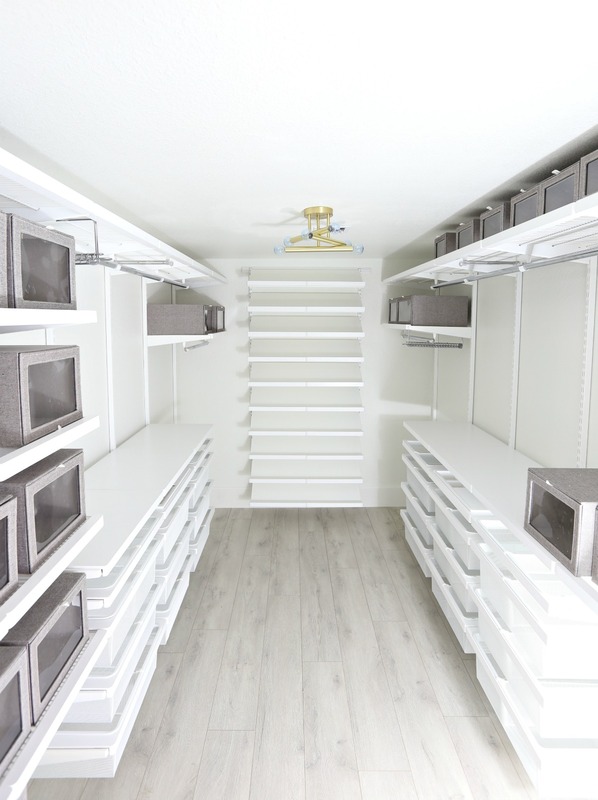 The Container Store designed the whole space and the installer came in and completed the entire makeover in one day! 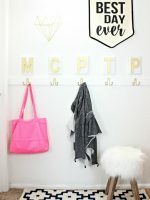 For Savannah’s closet, The Container Store used a lot of the same products but a lot more! 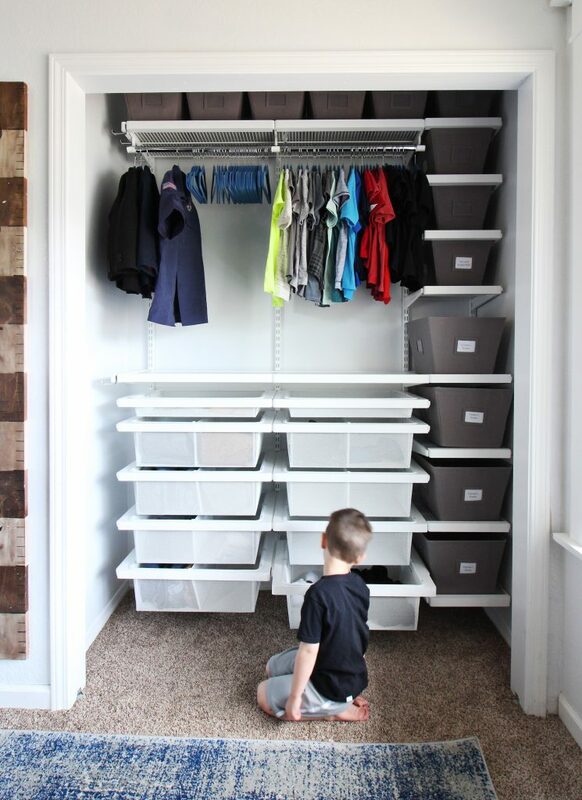 The elfa Mesh Drawers were able to hold so many clothes and accessories. They used several variations of the Grey Drop-Front Boxes and we love that you can see what’s inside without it looking cluttered. 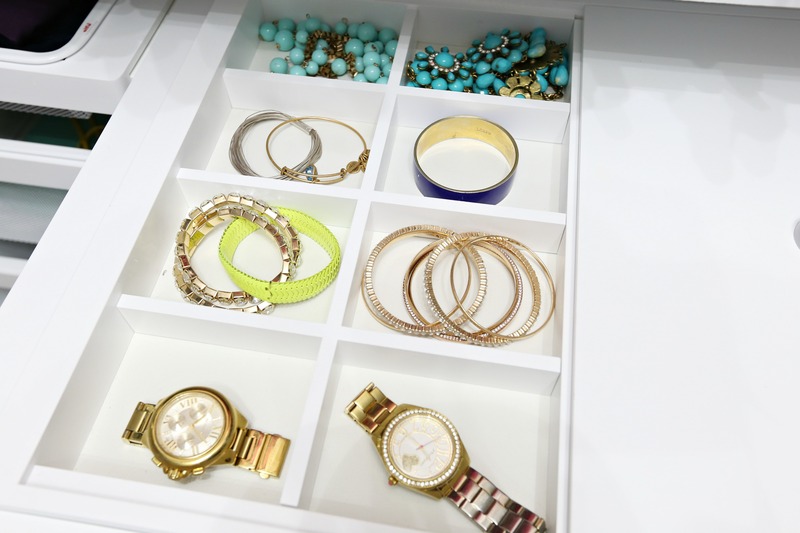 The White elfa décor Jewelry and Accessory trays were a life saver for all of her jewelry and small accessories! 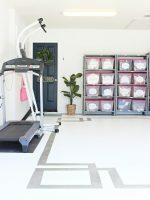 The white elfa Angled Solid Metal Shelves are the centerpiece of the whole makeover, showcasing all of her darling shoes! THANK YOU to The Container Store and HGTV Magazine for partnering with us on this project! 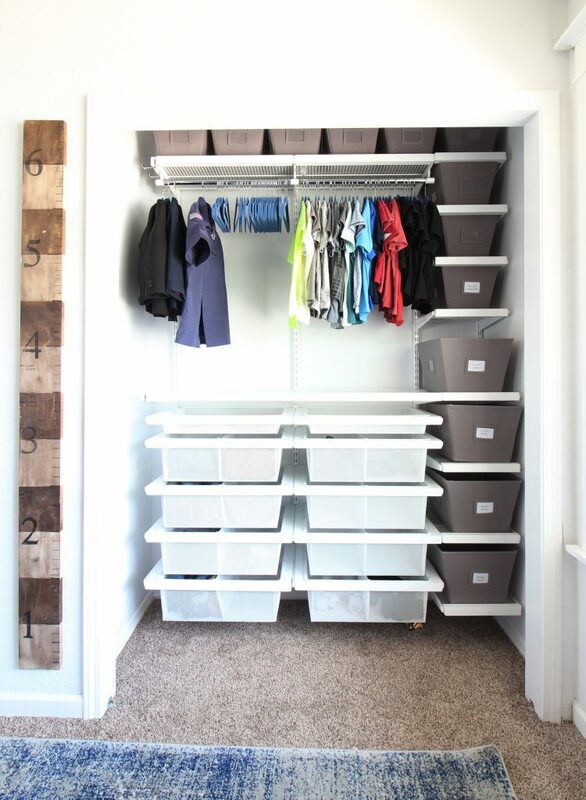 Did this post give you inspiration to renovate your own closet? Visit The Container Store now through August 6th to shop the amazing Customer Favorites Sale which includes many of our favorite products featured in our closet renovations and so much more! Feeling lucky? 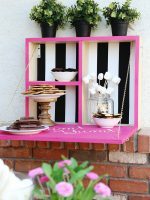 Go to HGTVMagOnline.com for a chance to win a $500 gift card from The Container Store.